I knew I would love these beans the moment I read the recipe.....and, I was right! The only problem was I didn't make enough to have leftovers.... These were so good that I am making them again tonight. In a lare bowl, toss the green beans with the canola and sesame oils. 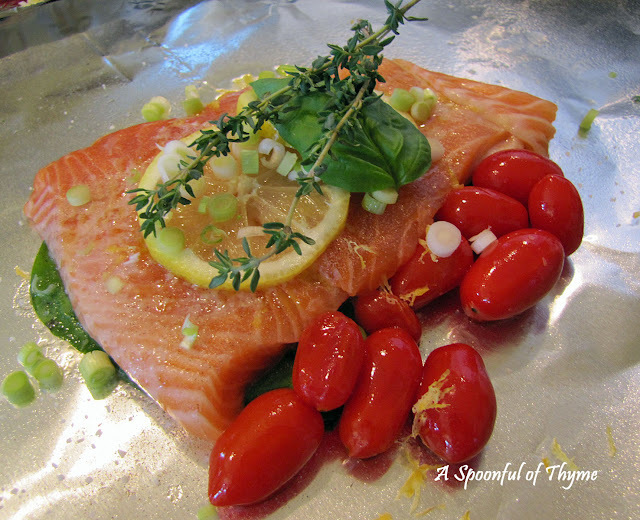 Arrange the beans on a baking sheet that has been lined with foil and coated with baking spray. Season with salt and pepper. Broil the green beans for 3 minutes. Stir. Continue to broil for another 2- 3 minutes until the beans are crisp-tender. 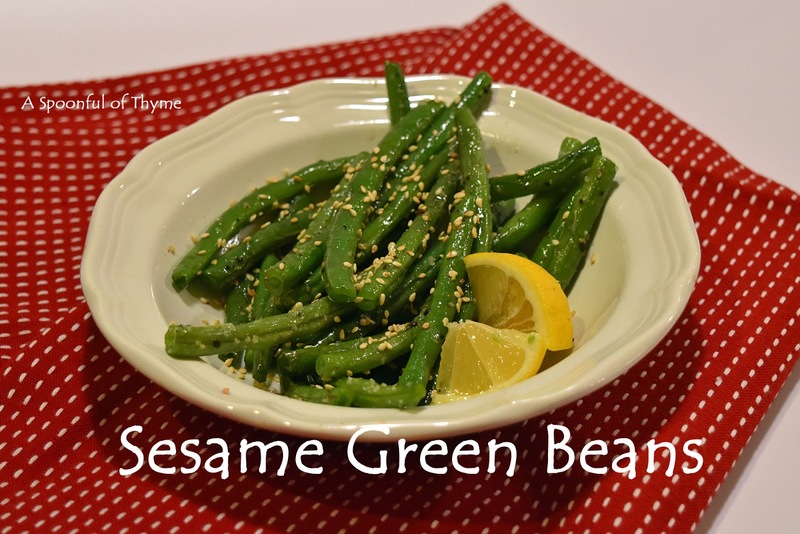 Toss the green beans with the sesame seeds and lemon juice. Then place the beans in a bowl to serve. Ooh, we adore Asian sesame oil. I am never without a bottle and use it frequently. What a lovely dish. Like Lynn, I will be trying this soon, maybe tonight. We love these Kate..the only differences ..I add soya sauce and ginger..I love them! I have a kinda/sorta similar recipe (mine adds a little brown sugar and low-sodium soy) but this one sounds simpler and a lot healthier. I happen to have all the ingredients on hand, too. Thanks! I could probably eat my weight in these, they sound wonderful - and addictive!